« So What’s for Dinner? I finally found a women’s Bible study book that isn’t shallow, irritating drivel! 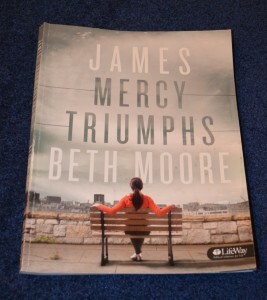 This Beth Moore Bible study on the book of James is wonderful. Beth Moore approaches God the same way I do, plunging into the Word of God and living it. Yes, there is homework five days a week, but it’s interesting, deep, and exciting. I actually had a breakthrough this week. We’re studying the book of James, and one of the homework assignments was to write down what our present trial was, and then three ways to respond to that trial. “Count it all joy when you encounter various trials…” is what James says, so that needs to be one of the three responses to choose from. For my present trial, I wrote: (1) despair, (2) work harder, to no avail, and remain burned out, or (3) count it all joy, trusting that God is in control of my circumstance. Then we were told to look at the five-year ramifications of each of those responses. That was a real eye-opener. I realized that the despair I’ve been feeling over the past few months over my business is from the enemy, who is trying to incapacitate me and render me ineffective for God’s kingdom. I will not let this happen. I’ve forgotten how to rest, but I must do so. And as long as I continue to look to God as my source, the glory of God is the only thing that ought to matter. I don’t want resentment to set in. Every time I see it, I get rid of it, but it’s something I have to fight. The five-year ramification of leaning on God as my source of strength is wonderful. And then something else happened at the Bible study. I’ve been trying (not very hard, because I don’t need them, dang it, and I’m sick of getting hurt) to connect to the women from my church. God prompted me to sign up for this 8-week Bible study, one of the reasons being that God commands me to connect to His church. It’s a command that I’m disobeying. I know what it’s like to connect so much with a church body that I can feel the pulse of the church. It’s incredible, and once you’ve had it, you can’t go back. The first week when I made a comment in the Bible study, the women visibly recoiled from me. I’m a very intense person, and people who know me enjoy me very much. But strangers don’t know what to do with me. I felt sad. I was sharing my heart, and I felt rejected. I said, “Really?” with tears in my eyes. She said, “Yes,” and gave me a hug. This entry was posted on Wednesday, January 18th, 2012 at 4:20 pm	and is filed under Christian Living. You can follow any responses to this entry through the RSS 2.0 feed. You can skip to the end and leave a response. Pinging is currently not allowed. Beth Moore is one of my favorites. In the fall of 2008 I did her Believing God study with a group of ladies at a church here in Arizona and was so richly blessed. God showed me how many things I believed were based on family traditions or what my church taught not fully on the Word of God. Kay Arthur Precepts is too overly organized and while Word oriented felt like I was being pushed into a mold that did not fit. Beth Moore homework fit much more with my poetic soul. Another one i have enjoyed is Nancy Leigh DeMoss. Last summer I lead a ladies’ study using her book “Choosing Gratitude” and the study questions posted on her website http://www.reviveourhearts.com It was excellent. I read in my private devotions at the same time “One Thousand Gifts” by Ann Voskamp. Both were so timely in helping me to learn to count it all joy last spring/summer as walking through many health trials in our extended family and personally as well as other trials and wanting to live in joy and grace not bitterness and despair. May the rest of the study continue to encourage you in your growing walk. I love your “poetic soul!” Thanks for the suggestions, Debbie. My husband and I have both noticed this phenomenon of people acting a bit strange (offended, even?) when scripture is used. I never know whether to laugh (because it’s a BIBLE study, people, not a book club) or cry (because it’s a BIBLE study, people…). I think that woman nailed it. It’s not so much that people are shocked when you reference the word in a Bible study, it’s that they’re convicted and it’s uncomfortable. And I say, “You go, girl!” Keep pressing in and being who you are. If there are even one or two women there who start being real or begin digging into God’s word for themselves because of your example, how awesome would that be? The women in the Bible study are nice, and they are real; it’s just that I don’t know them, and they are not used to my intensity. (((Hugs))) I enjoy you, too, Melissa. Oh, I have no doubt that your Bible study has ladies who are very sweet with huge hearts. I just know how difficult it can be for women to be transparent (since I’ve been there and still find myself there at times), because we feel so much pressure to have it all together. But from my experience, having someone like you who has the courage to be honest about sin and struggles and joys can be the tipping point that makes other women feel safe enough to take that risk. Which is a very cool thing. 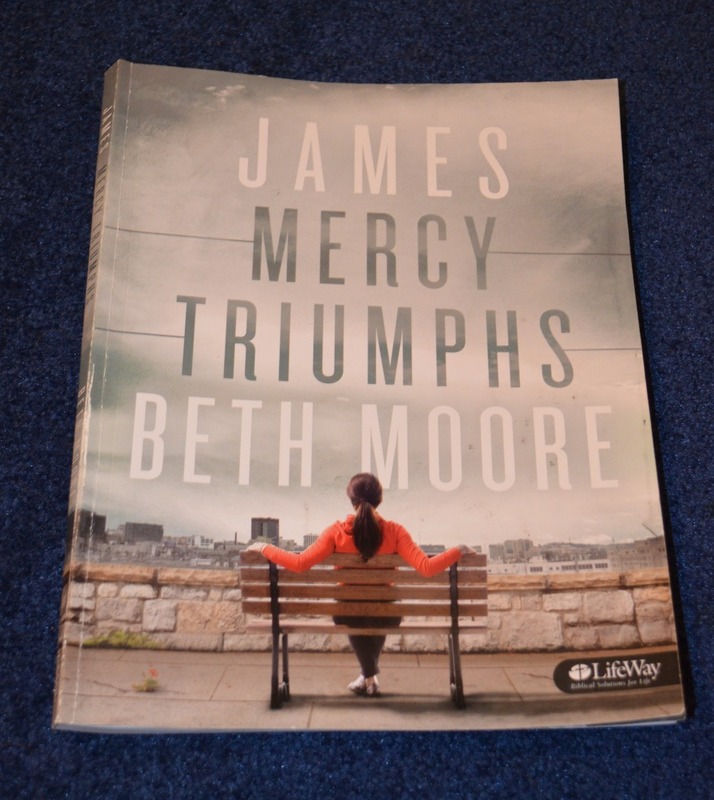 I really like Beth Moore I have a couple of her bible study books and she really is great. Love following your website it’s really nice, you have done a great job. I love Beth Moore! I was blessed to be able to attend a Women’s conference @ our church over 10 years ago..and I still remember how much I gleaned from her wisdom. I loved it when she first said, “Beloved”, and it reminded me that I was indeed Beloved by God. I need to dig out my Beth Moore’s and get back into my Bible more..Thank you, Susan! Love your posts…Keep on going! Thank you, Pamela and Katrina! Thanks for sharing the homework questions. I am doing a James study at the moment with our women’s ministry at church, with a mixture of teaching and discussion. Unfortunately we’ve already done chapter 1 so I can’t use that great idea, but I like way it must make people think and gives me ideas for types of discussion questions that might be good for the next chapters! I like discussion questions that cause me to think and apply what I’m learning in the Word of God. That’s why I love the Beth Moore Bible study so much.